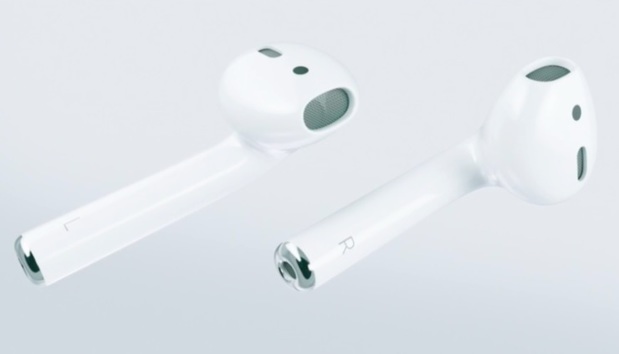 Thanks to a friend who worships at the church of Apple, I’ve gotten my first look at Apple’s AirPods. They’re just as annoying as I’d expected. To catch you up on the story, Apple dumped the headphone jack in iPhone 7. Why? Was there a change.org petition to get rid of old, working technology? Nope. According to Apple’s senior vice president of worldwide marketing ,Phil Schiller, it was so Apple could make an even skinner phone and/or add new technology. Because, don’t you know, what the world needs now is an even thinner iPhone. The real reason, of course, is that Apple wants to shear more money from its sheep. All those pricey Apple Beats earpods and headphones you’ve bought recently? They’re all old junk on their way to obsolescence, if you believe Apple. Instead, you’ll need $159 AirPods. They don't come with your pricey new iPhone 7. Apple really does want to squeeze out every last dollar from its customers. Oh, and guess what. You’re going to lose those AirPods. That isn’t a threat. That’s a promise. It’s all I can do to keep track of my Era by Jawbone Bluetooth headset, and it’s seldom off my head during a business day. You’re going to be taking the AirPods, with their inadequate five-hour (well, more like three, really) battery life off and on constantly. You will lose them. It’s only a matter of time. Heck, you may want to lose them. I mean, do you want to look like you have Q-tips sticking out of your ears? I don’t! What magic? I don’t expect good audio from Apple products, but the AirPods’ sound quality is far worse than Apple’s already “meh” earpods. If you really want to listen to music from your iPhone 6 or earlier, bite the bullet and shell out $250 for the Bose QuietComfort 20. Yes, the Bose cost a lot. But, guess what, they’re worth it and they won’t become a cat toy when you’re not looking. Or, if you really insist on wireless, go with the JBL Reflect Mini BT for $100. One reason I’m willing to pay serious money for headsets and earpods is that active noise cancellation makes using them, not to mention listening to music, much more enjoyable. Guess what Apple doesn’t include in the AirPods? Why, yes, that would be active noise cancellation. Of course, you could use the Apple-supplied dongle to connect your old earpods via the iPhone’s 7 Lightning port. Well, you can, but it doesn’t work that well. In my experience, whenever you add another link to an audio connection, the quality goes downhill. That proved to be true yet again. So, let me sum this up for you. Apple, for no reason other than to increase its profits and further lock in customers to its technologies, is forcing its customers to buy expensive, second-rate technology.